Kings Mountain Baptist Church, Kings Mountain, North Carolina. 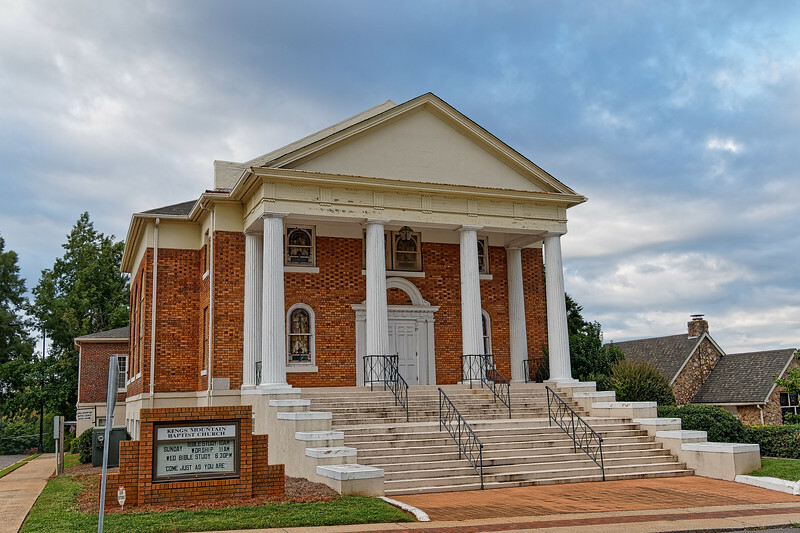 The church's website says "Kings Mountain Baptist Church, of Kings Mountain, North Carolina, worships in one of the most historic buildings in our community. The history of our church dates back to the 19th century when the church was planted by a group of devoted Christian women. When our present sanctuary was constructed in 1913, the church became known as First Baptist Church of Kings Mountain. This was our name until 1958, when the church split into two parts, with one group leaving the present location and the other remaining. The group that left took the name First Baptist Church of Kings Mountain and the group that remained took back the original name of Kings Mountain Baptist Church."